North Coast Laboratories is open Monday through Friday from 8:30 to 5:00. 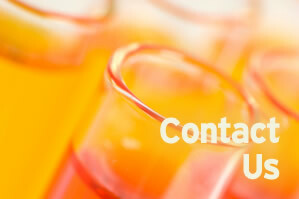 We accept bacteria sample during business hours but only until noon on Friday. Take the Highway 299 East exit. From Highway 299 East take the exit for Giuntoli Lane/West End Road exit (this is the first exit and is well signed). At the stop sign at the end of the exit ramp, turn right onto Giuntoli Lane. At the stop sign at the intersection of Giuntoli Lane and West End Road, turn left. Follow West End Road approximately 6/10 mile to North Coast Labs. North Coast Labs is the last building on the right just before the railroad crossing. Take the Giuntoli Lane/West End Road exit. At the stop sign at the end of the exit ramp, turn left onto Giuntoli Lane (this will take you over Highway 299). North Coast Labs is just a short distance from two local airports. The Eureka/Arcata Airport is serviced by United Airlines. Murray Field is a smaller airport for private airplane use. The following list reflects just a few of the many nearby lodging options just off Highway 101. Refer to major chain travel guides for other lodging accommodations in the area.